Stefan Kiessling gave Bayer Leverkusen victory away to Hamburg, who missed out on a Europa League place with defeat. Stefan Kiessling left it late to secure the Bundesliga golden boot with a 90th minute goal that gave Bayer Leverkusen a 1-0 victory away to Hamburg, who missed out on a Europa League place with defeat. Borussia Dortmund's Robert Lewandowski had pulled even with Kiessling earlier in the day but his dramatic late strike moved him clear with 25 goals. With Dortmund having beaten Hoffenheim 1-0 to secure second, Leverkusen settled for third place with 65 points, while Hamburg finished seventh with 48 - three points behind Eintracht Frankfurt and the final European place. 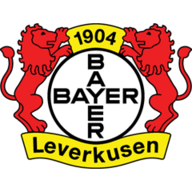 Leverkusen had the first chance of the game after nine minutes when Jens Hegeler found himself one-on-one against Rede Adler but he could not beat the Hamburg keeper. 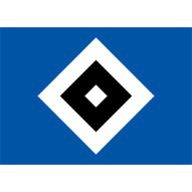 Hamburg nearly grabbed the lead 10 minutes later but Dennis Aogo headed narrowly wide right from a cross. Adler kept Hamburg's Europa League chances alive in the 39th minute with a great save to keep out Kiessling's volley. The former Leverkusen goalkeeper blocked another shot from the visitors in the 57th minuet - this time with a superb reaction stop against Andre Schurrle. Hamburg were close to scoring 10 minutes later but Dennis Diekmeier's bouncing shot went just wide left. Adler again showed his form in the 74th minute, denying Kiessling one-on-one. But all that hard work was undone in the 90th minute as Leverkusen counter-attacked and Sidney Sam fed Kiessling for a game-winning goal that gave him the scoring title.